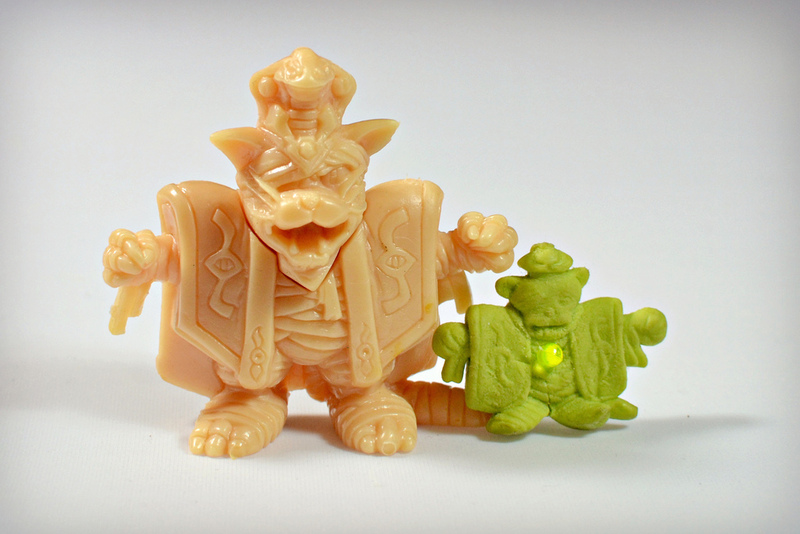 One of the many Japanese keshi lines that you've probably seen around if you're into collecting monochromatic mini figures is Kōryū Densetsu Villgust. 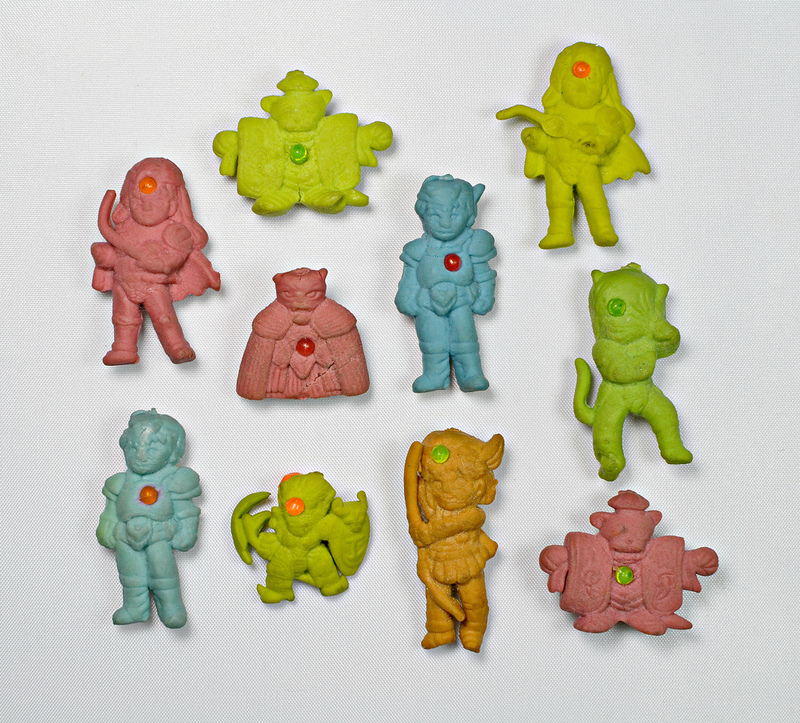 Villgust figures depict characters from the Japanese RPG of the same name, which was released in the early 1990s. According to the Villgust Wikipedia entry, the premise of the game was to "rescue your girlfriend and to return to modern Japan from a parallel medieval world." 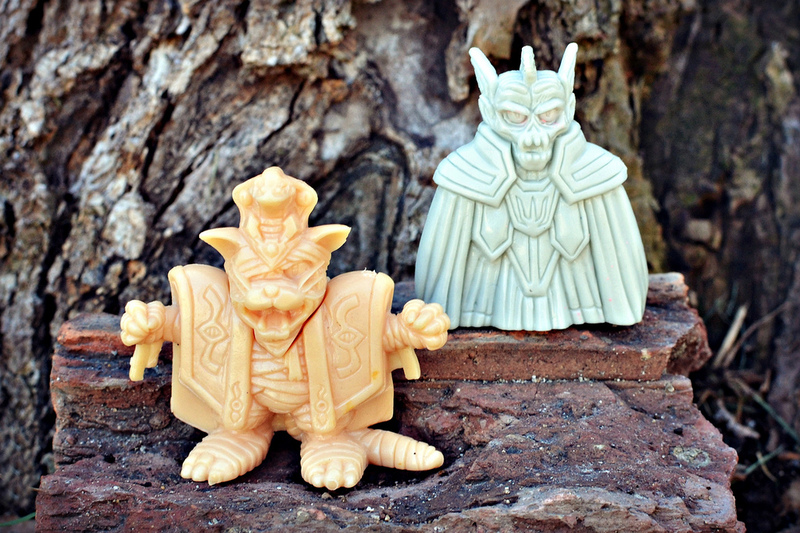 I've got only a handful of Villgust keshi, but there are many different sculpts that exist, including a variety of monsters and heroic warrior type characters. You can see a whole bunch of them here. Some of the figures--like the ones pictured at the top of this post, consist of multiple pieces, with heads that plug into bodies, etc. The figures are made of soft plastic and come in many different colors, including peach, gray, light green, dark green, blue, gold, red, purple, brown and more. Of the ones I own, my favorite is the peach guy pictured above, who looks like some kind of cat-mummy pharaoh! 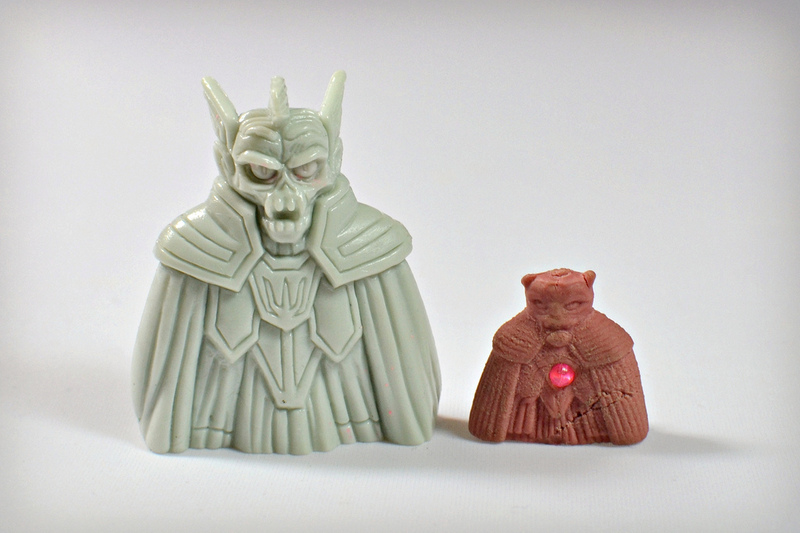 Villgust characters also appeared in U.S. vending machines as bootlegs. In the mid-1990s, I remember getting the figures pictured below out of a department store vending machine. They're about 1" tall and made of very soft, spongey rubber with removable plastic "gems." Unfortunately, as you can see, the non-durable material hasn't held up too well over the years. What do you think about Villgust keshi? Do you own any of the real things or remember seeing any bootlegs in vending machines?